24/7 customer support includes telephone support, email and chats support as well. Outsourcing your customer support helps increase the conversion rate of your business and builds your business to support its customers, without having to spend a lot of time in organizing new employees. Below, you will find out good reasons why you should outsource your customer support service. 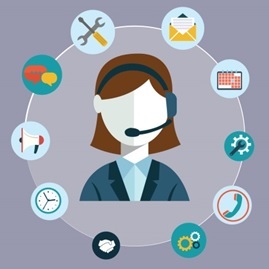 Businesses that outsource their customer support to customer support service providers have a lot of time to focus on the core competencies of their business. If you have been worried on how to tackle your business’ customer support, outsourcing may be the perfect solution you need and free yourself of much stress. Outsource your customer service ensures that your customers get the help they need, when they need it. This will make them happier and have less stress. 24/7 customer support providers also have the ability to absorb a dramatic change in demand. Organizations that manage their own customer support service often face higher costs. Outsourcing converts fixed costs into variable costs and allow you to budget effectively. There is no need to invest in training employees or buy expensive technology. Outsource your customer service to a trusted provider, and save on capital expenditures, time and effort. For a competitive company, 24/7 customer support is one of the most efficient tools to serve your customers.